When it comes to premium homes in Singapore, District 10 dominates with its abundant supply of prestigious and top notch condos and landed homes. If not for the price, the District 10 location with its wide selection of fine homes is really hard to resist. Against this backdrop, Goodwood Residence stands out with a charm all its own. Being bounded by 20 hectare of conserved, green verdant land instantly elevates Goodwood Residence into exclusive territory. Indeed 60% of all its buyers profile are from companies and foreign ownerships, 30% from Singaporeans and 10% from PRs. Freehold status, prime district, and luxurious elements all contrive to make Goodwood Residence an investment worth its weight in gold. 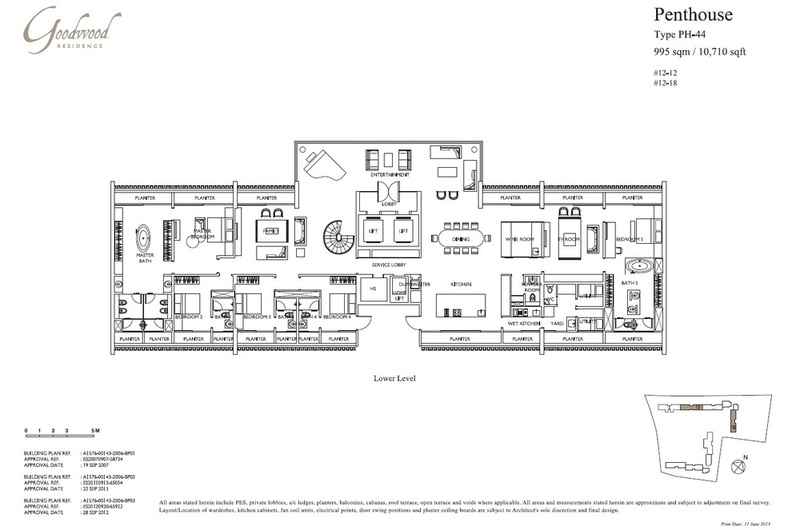 Landscape: ICN Design InernationalPte Ltd.
Penthouse: 4000 – 12,000 sq ft. 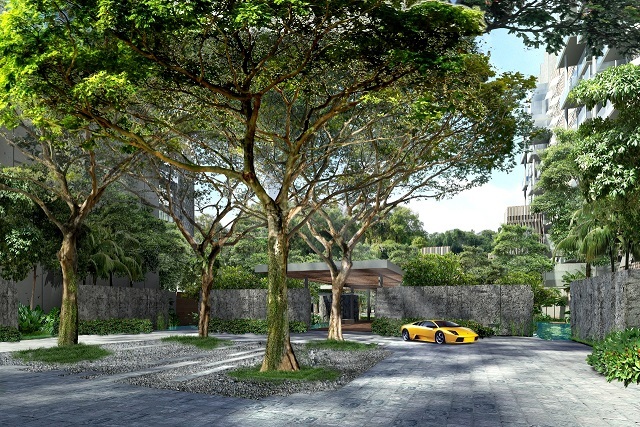 It has one of the largest plots of freehold land (2.5 hectares) in Prime District 10 Singapore. The condo shares a 150m boundary with Goodwood Hill which has a 20 hectare of greenery dotted with quaint colonial “black & white” bungalows within the tree conservation area. It is located within a highly desirable neighbourhood (Orchard - Scotts vicinity), and just minutes away from Singapore's prime shopping belt, elite schools & prestigious clubs. The condo project is conceptualized by multi-awards winning architect WOHA & landscape architect ICN Design International. Almost 80% of the grounds have been set aside for landscaping & recreational facilities. To generate excellent cross ventilation & natural lighting within each apartment, the 2 blocks are set 100m apart, which in itself is a rare occurrence in an urbanised Singapore. Every apartment enjoys the lush view of Goodwood Hill. vertical green walls help make this development eco friendly and aesthetically attractive. Experience that grand arrival feeling while driving through a 160-m long tree-lined boulevard. A 60m by 30m lawn fronting the swimming pool. Clubhouse with facilities such as an entertainment kitchen designed by internationally acclaimed celebrity chef from Singapore, Mr Justin Quek (Sky on 57 at MBS). - Cabana series apartment offer residents the experience of living within a tree house perched among nature & greens. 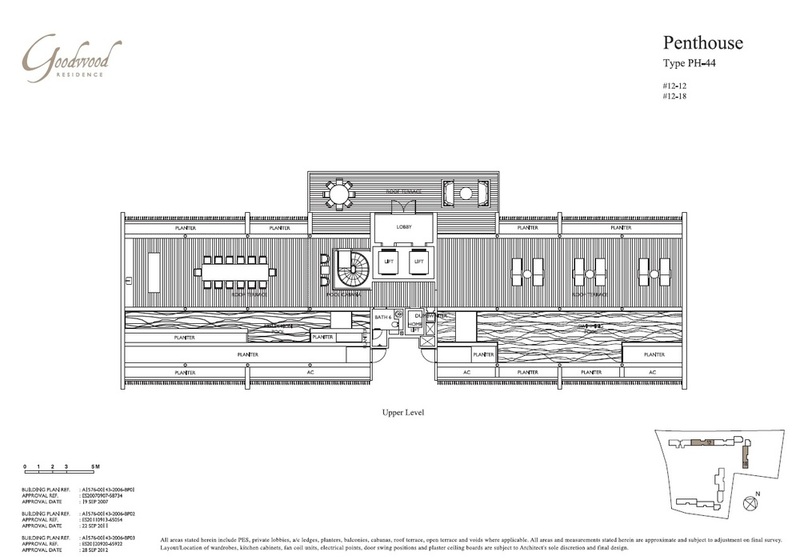 - Ground floors units come with private pools & gardens. It's like living within a house in a condo.